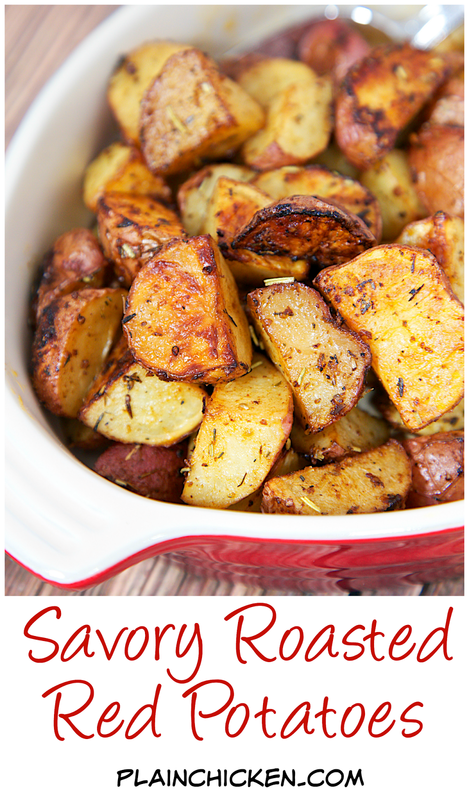 Savory Roasted Red Potatoes Recipe - red potatoes tossed in oil, rosemary, Worcestershire, garlic, paprika and baked. Seriously delicious. Great with chicken, beef and pork. We like them with a juicy burger instead of fries. We make these potatoes at least once a week! Stop what you are doing and add these potatoes to your dinner tonight! They are SOOOO good! They are also super easy! 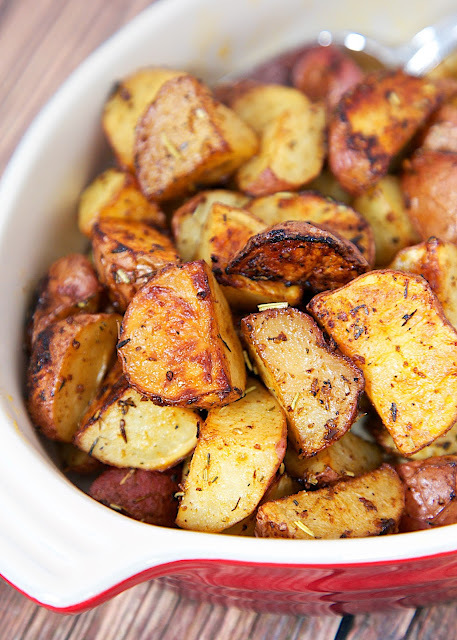 These red potatoes are baked in a mixture of rosemary, Worcestershire, garlic and paprika. All of my favorite spices! The potatoes take about 45 minutes to bake in the oven. I toss the potatoes in the oven and then work on the main dish. We've made these potatoes several times and absolutely love them. They are great with chicken, beef and pork. I also like them with a burger instead of fries. Give them a try. I promise you will love them! 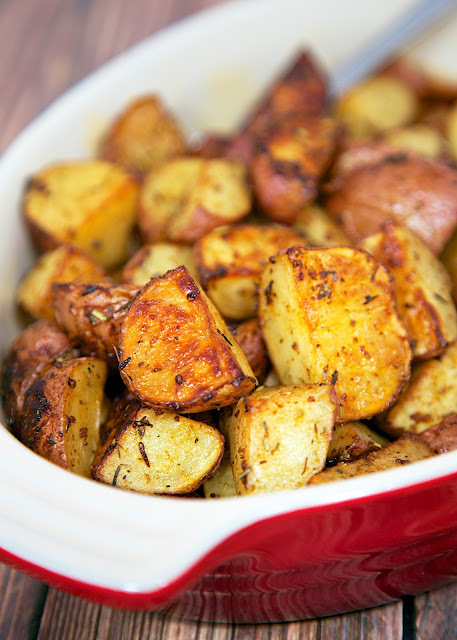 In a large bowl, toss potatoes with olive oil and seasonings. Toss until potatoes are evenly coated. This sounds good and I can't resist potatoes. We've just dried some fresh rosemary from our garden that would be perfect for this. Hard to beat a simple red potato dish. LOVE the spices you used. I bet these potatoes are amazing! Printed it! Made these for Easter - they were delicious! thanks for the great recipe. So glad to hear that you enjoyed them! Super easy side dish. Highly recommend using fresh rosemary if you can. This smells amazing while cooking and it tastes great too! I only changed one thing. I pressed the garlic instead of mincing it. It was just wonderful! I will be making this often. I love how easy it is to toss together and it comes out tasting fabulous! Thank you Stephanie!! !